Taft Design + Associates (TDA) is a specialty international design studio with over 25 years of experience. TDA is committed to providing our clients in the entertainment, cultural, and educational industries with engaging, innovative, and effective solutions for all their project needs. Headquartered in Pasadena, California USA, our flexible studio structure consists of dynamic and experienced core team members who can provide the best talent from the fields of conceptual design and development, multi-media production, environmental and communication graphics, and design management to accomplish your project goals expertly and on time. 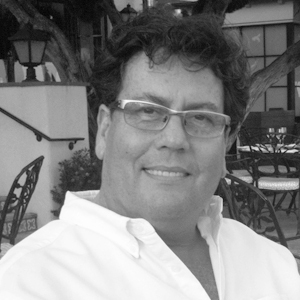 Geoff founded Taft Design + Associates in 1990 to provide experienced design services for the entertainment, cultural, and educational industries. 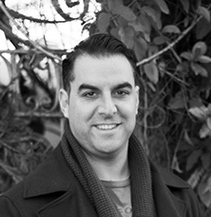 He has lead the firm in creating innovative and immersive experiences for multi-million dollar themed entertainment projects and recreational property developments. His diverse group of clients includes the Walt Disney Company worldwide, Warner Brothers, Mitsubishi Corporation, the Simon Wiesenthal Center, and Turning Stone Resort & Casino. Geoff began his career with Walt Disney Imagineering as a set designer, which lead to becoming a creative producer and project manager on key resorts including Disneyland Paris, EPCOT Center, Tokyo DisneySea, and Disneyland California. His experience with Disney has given him a firm grounding in the principles and practicalities of themed design from concept through construction, including scheduling, budgeting, and resource allocation. One of his current key projects is providing support for the creative development and implementation of the Shanghai Disney Resort. Geoff is the on-site creative producer for Mickey Avenue and Gardens of Imagination. He ensures that high standards are maintained for creative delivery and the integration of all show and construction elements, which has reinforced his well-respected reputation for producing world-class projects internationally. Born and raised in California, he received his Bachelor of Science degree in architecture from Humboldt State University. 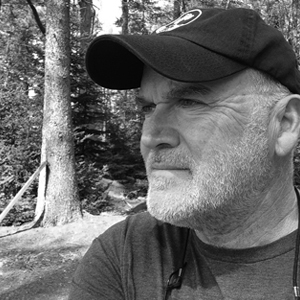 Daniel Molitor is a writer and creative director with 30 years of experience developing theme park attractions, museum exhibits, specialty films, videos, and interactive experiences. For over a decade he was a writer at Walt Disney Imagineering, where he was a key player on teams that created attractions such as Buzz Lightyear’s Space Ranger Spin and The Extraterrestrial Alien Encounter. He helped to create Port Discovery, an innovative children’s museum in Baltimore, and has developed experiences and exhibits for The Smithsonian and other world-class institutions. As a creative director at The Hettema Group, he was responsible for concept development and supervising the writing staff on projects in South Korea, Saudi Arabia, Trinidad and Tobago, and around the United States. Daniel is the author of 6 published books and serves on the board of directors of the San Gabriel Valley Literacy Council. He spends two nights a week teaching English to adult learners. Working in diverse design disciplines from museum exhibitions and environmental graphics to product creation and book production, James brings his exceptional talent and extensive background to all his projects, immersing himself in every detail with passion and a commitment to excellence. During his illustrious career, James has collaborated on a variety of groundbreaking projects, including the creation of innovative exhibits for IBM, the Hong Kong Science Museum, and the 1984 Los Angeles Olympics torch design. Among his many other accomplishments, James has a long history of designing for Disney, and lead environmental graphics teams in creating themed identification signage for multiple attractions for Discoveryland in Disneyland Paris. Most recently, he provided the branding and environmental graphics for Shanghai Disney Resort’s Disneytown, a unique retail, dining, and entertainment experience. James received his early training at the University of Southern California's School of Architecture and Fine Arts, and is a graduate of Art Center College of Design in Pasadena. 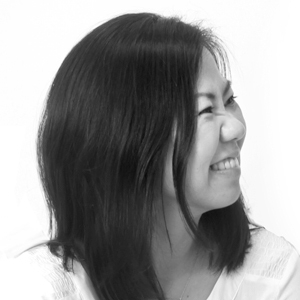 Soo Lee is an artist and design professional with experience across a broad range of entertainment venues—attractions, museums, brand environments, live entertainment, retail and theme parks. She is passionate and dedicated on telling a story with a sense of aesthetics and originality. A design project manager at Mattel, she has also worked for Walt Disney Imagineering and Universal Creative. Specialized in concept design, art direction and design development she has been creating memorable guest experiences for the last ten years. Her artwork has a diverse range from a traditional medium to 3 dimensional artwork that brings the story’s themes and key moments to life. Soo Lee is a graduate of University of California, Irvine in Scenic Design with a Master of Fine Arts degree in scenic design. She also received a Bachelor of Arts degree in Environmental and Industrial Design at Hongik University in Seoul, Korea where she was born and raised. Jason brings his strong instincts for design, composition, color, and lighting and his experience in cinematography to his passion for virtual environment creation. He has worked with a number of studios including DreamWorks Animation SKG, Warner Brothers Feature Animation, Digital Illustrations Creative Entertainment, and Walt Disney Imagineering. He has also taught at the Art Center College of Design, Brainstorm School, Concept Design Academy, Laguna College of Art and Design, and Computer Graphics Masters Academy. A graduate of California State, Fullerton, with a bachelor of arts degree in fine arts and illustration, he also studied media arts and animation at the Art Institute of California and entertainment design at the Art Center College of Design. 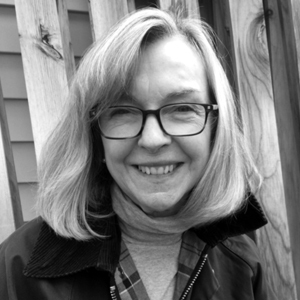 Frederica Templeton has been working in the fields of communications, education, and philanthropy for over 25 years, as a freelance writer, and as a senior communications and development officer for an independent educational institution. Capturing the essence of every client's vision with skilled but simple words is her primary goal. As a trained historian, she has a keen interest in communicating and preserving the unique voices and stories of the past and present for future generations. She has collaborated on several cultural and historical projects that have involved immersive storytelling and integration of academic details. As a writer and editor for major national and regional publications, she has written articles on a variety of topics including historic buildings, interesting people, and sustainable food. She received a bachelor's degree in European history and art history from Trinity University in Washington, DC, and master's degree in history from the University of Notre Dame. 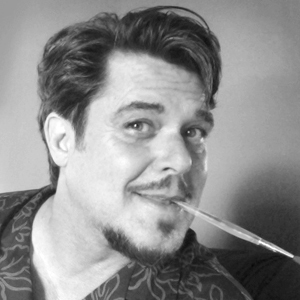 Tom is a highly diversified concept designer, illustrator, art director, and creative executive with over 30 years of experience in themed entertainment. His career began before graduating from college, as a sketch artist and concept designer for Universal Studios. He went on to work as a Disney Imagineer and a Universal Studios executive designer. He conceptualized the Journey to the Center of the Earth ride for Tokyo DisneySea, Japan, and the Water World Live Action Stunt Show for Universal Studios, Hollywood, among many other accomplishments. Tom continues to bring his charisma and storytelling visualization experience to the entertainment industry. His painting and prints of tropical fantasies and Hawaiian culture are collected by many followers of his work worldwide who know him as "Thor." He is an honors graduate of Art Center College of Design in Illustration, where he has also taught entertainment design. James combines his talent as an artist and illustrator with his architectural training to provide concept design and presentation skills in architecture, planning, exhibit design, and resort and entertainment design. He believes in designing sustainable environments that foster community and well-being and exhibits that are immersive environments that encourage the viewer to explore and make new discoveries. 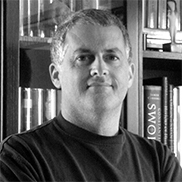 During his early career, James was a senior concept designer for Walt Disney Imagineering and a director of environmental design for Sony Development. Over the past 15 years he has participated in numerous design charrettes with the celebrated town planning firm Duany Plater Zyberk, and his work has been exhibited and recognized nationally. He has also designed for the Smithsonian's National Air and Space Museum, the Denver Museum of Art, Nomura Bank, DaimlerChrysler, SFX Entertainment Group, Rockwell Group, Gwathmey Siegel Architects, and Newman Architects. He received a master's of fine arts degree in painting from Syracuse University where a University Fellowship allowed him to pursue his parallel interest in architecture.